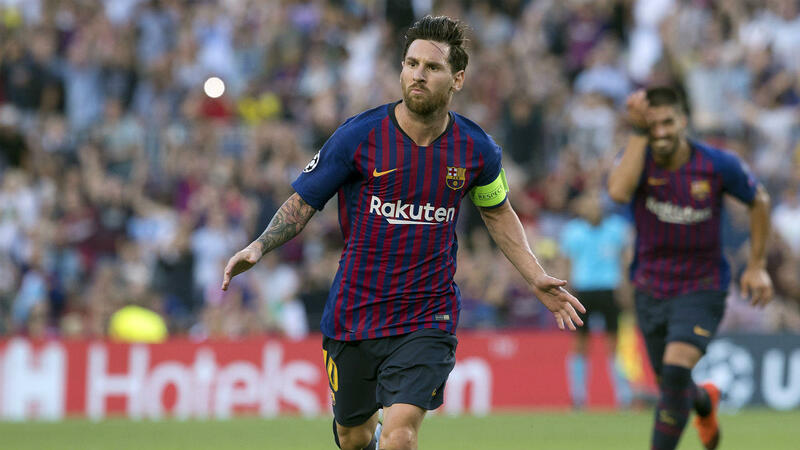 Lionel Messi broke a tie with Cristiano Ronaldo as his eighth Champions League treble made him the most prolific hat-trick scorer in the competition's history, earning him more high praise from Barcelona boss Ernesto Valverde. The Argentina superstar had been level with Ronaldo, but lit up Camp Nou with an incredible performance in Tuesday's Group B encounter . Barca had struggled for the opening half hour, but a vintage Messi free-kick broke the deadlock. After a wonderful individual effort from Ousmane Dembele, Messi scored twice in the final 13 minutes, which also saw Samuel Umtiti sent off. He now has 48 hat-tricks in his remarkable career, and has netted more Champions League goals than PSV, scoring 103 to their 102, leaving Valverde to lavish praise on the 31-year-old.